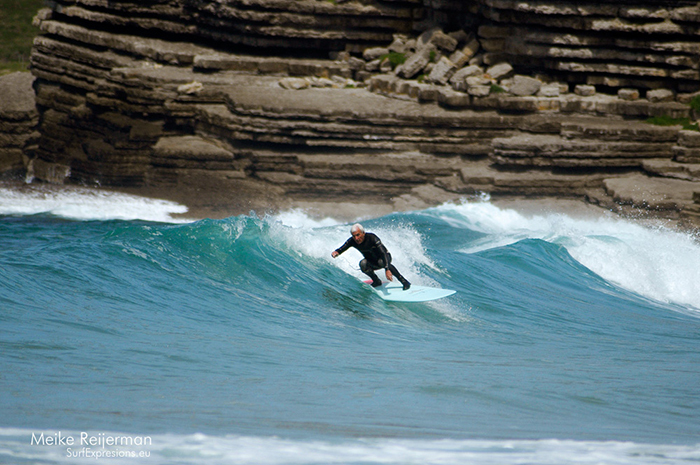 We spotted Meco in the water at Loredo beach. 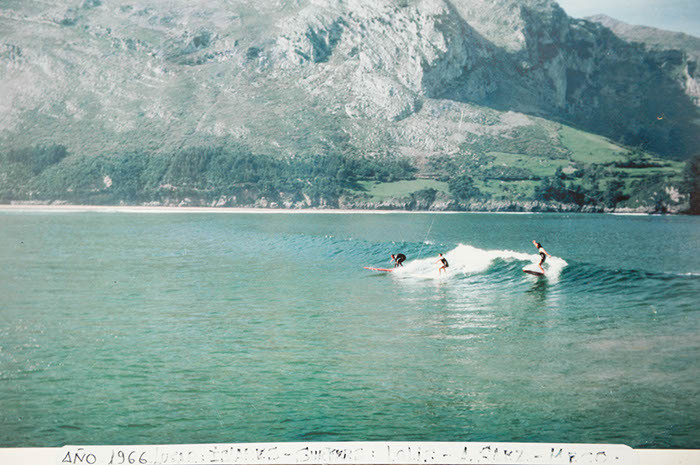 Meco is another legend to tell you the story of the very beginning of surfing in Spain. 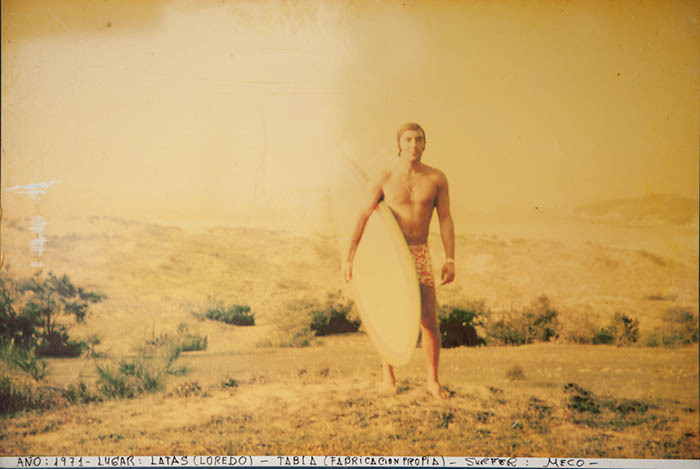 He was one of the surf buddies of Juan Giriber, whose story you might already have seen. 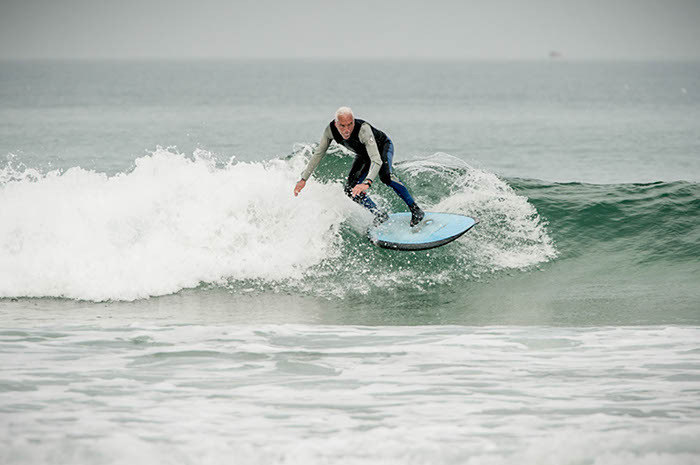 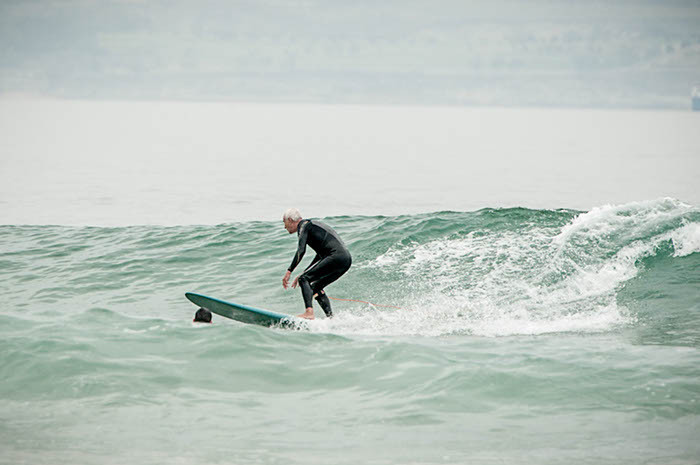 Being in his mid-70s Meco is still so stoked about surfing. 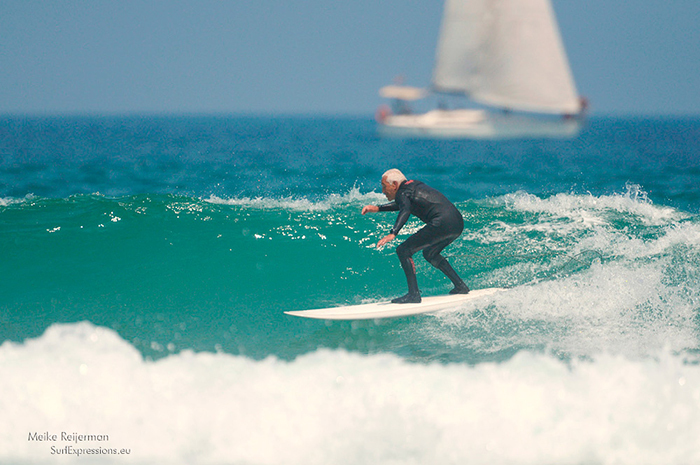 He likes to paddle for the perfect wave every single day.